According to data compiled by the US Department of Commerce, eCommerce sales in the third quarter of 2018 accounted for almost 10 percent of overall sales. This continued a steady, 10-year growth trend. Shopify reported that global eCommerce sales are expected to reach $4.5 trillion by 2021. That is more than triple the $1.3 trillion in sales reported in 2014. Along with the upward trajectory in sales, of course, innovations and ongoing eCommerce trends continue to change the online retail landscape. ECommerce is the fastest-growing part of the retail economy. The forces that shape eCommerce trends change quickly too. To point the way toward 2019, it’s helpful to review how innovations in eCommerce shaped the industry in 2018. Here are some of the 2018 eCommerce trends you need to understand to keep your business relevant in the coming year. Live chat was suddenly everywhere – and consumers loved it. More homes added personal assistants and voice search became an important factor in search. Instagram went from being a thing to being thething – and an indispensable place to do social marketing. Social influencers increased their influence on consumers. More consumers than ever are buying directly from smartphones and tablets, increasing the importance of mobile eCommerce marketing. More detailed insights on the most important technological innovations in eCommerce follow. Voice search is driven by virtual assistants, including Apple’s Siri, Google Assistant, and home devices like the Amazon Echo. While telling the Echo’s Alexa what you want may not yet be the dominant way to shop, voice searches have changed SEO for online retailers. 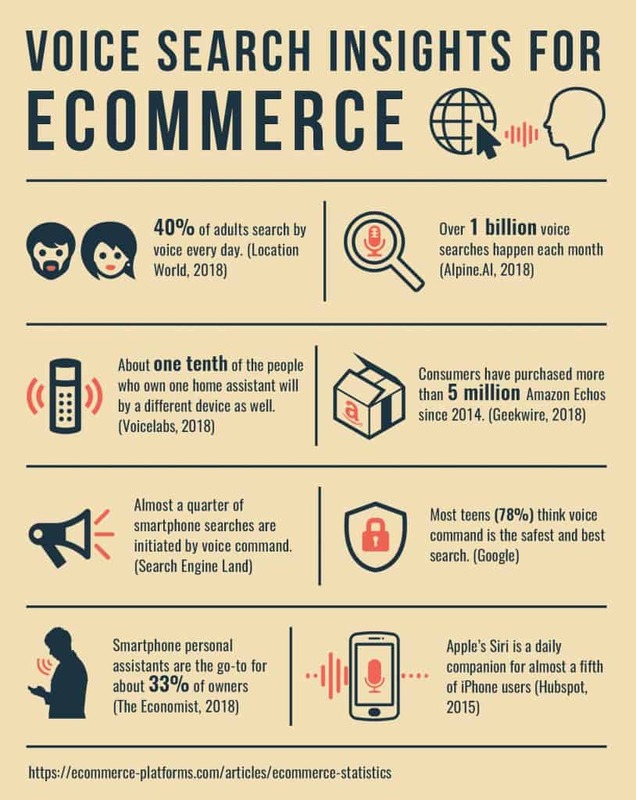 The rise in voice search doesn’t just drive SEO. Improvements in AI technology and voice recognition software are changing the products that consumers buy. One growing trend from 2018 is the appeal of products that include voice activation. There’s a great opportunity in eCommerce marketing for those who are quick to recognize the appeal of products that respond to spoken commands. Within a few years, voice recognition will be standard, but today it is still an exciting feature. And voice integration has the added benefit of making products more accessible to people with disabilities. It would be great if you could open your virtual shop doors and have customers flock to your eCommerce website. In the real world, however, marketing is an ongoing task for online retailers. Your marketing savvy will get your shop noticed. It’s your understanding of eCommerce marketing trends, however, that will bring the right customers to your site. In 2018, there were significant developments in online marketing that are worth noting. 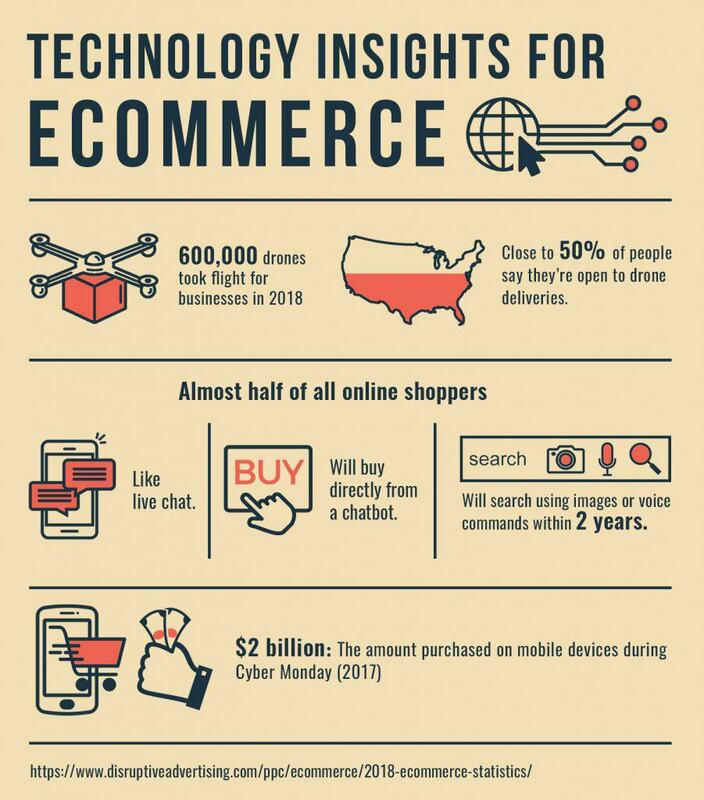 Here are the top eCommerce trends. 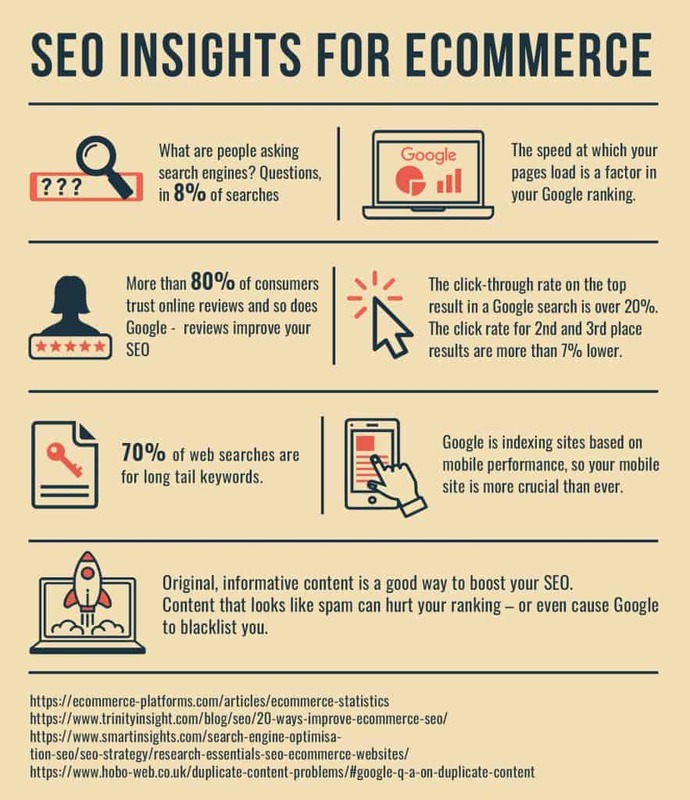 What Are the Latest SEO Trends for ECommerce? SEO mattered more than ever in 2018. Consumers are more willing to shop and make purchases on their mobile phones. As a result, if your brick-and-mortar store isn’t listed as open in a smartphone search, you might as well not be open. These trends from 2018 will help drive your SEO strategy in the coming year. However, one trend that’s only just begun may be more important than all the others: voice search. Voice search used to be found only in science fiction (remember Captain Picard demanding, “Earl Grey, hot” on Star Trek: The Next Generation?). As personal assistants like the Amazon Echo and Google Home gain market penetration, voice search will move firmly into the here and now. 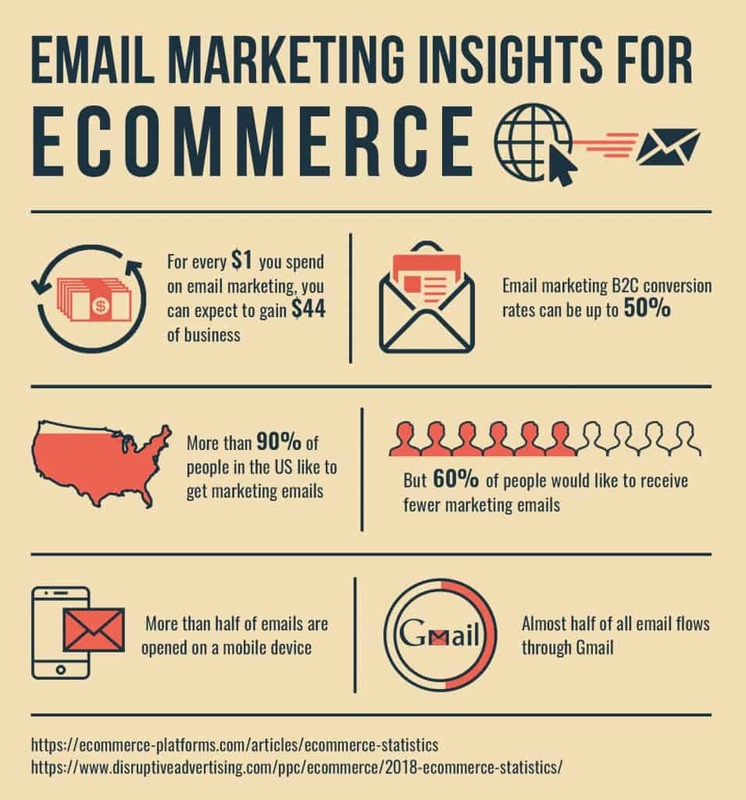 While direct-to-consumer emails might seem antiquated in the era of Instagram, it remains a valuable tool for eCommerce. Whether you believe that millennials are ignoring email or glued to their emails, the fact is that email marketing is a great way to reach your potential and repeat customers. Make sure your emails are mobile-friendly (that’s where most people read their mail). Don’t overload your list. Overly frequent emails start to feel like spam, and your customers may unsubscribe. In 2018, social media began to shift from a brand story platform to a direct sales outlet. This trend is a result of the social platforms’ relentless search for ways to monetize their services. Shoppers embraced the concept, too. Shopping without having to leave your favorite app is a win-win for many consumers. 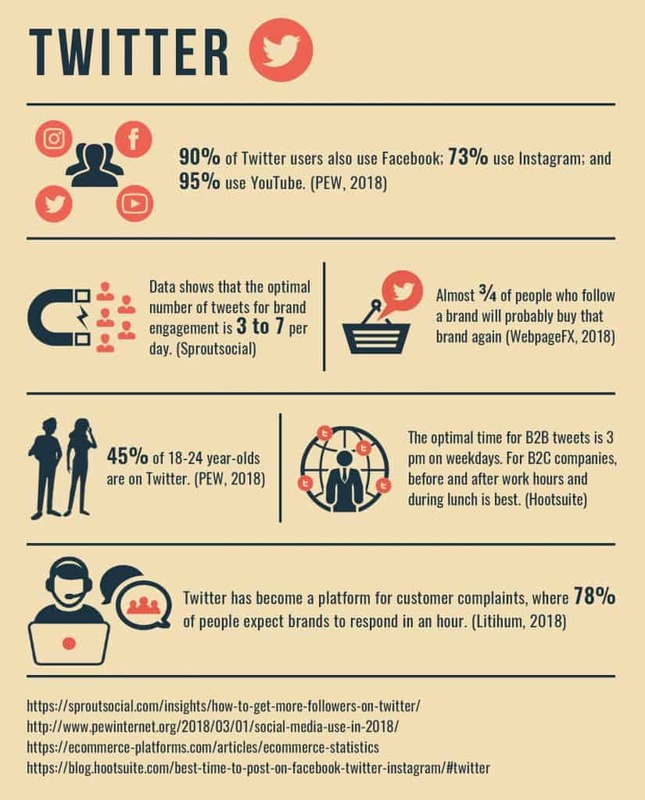 Here are the most important social channels for eCommerce marketing. It is important to stay on top of developments in online retail, even if they don’t directly affect your business. For example, it would be dangerous to ignore the growing influence of Asian consumers and eCommerce businesses, even if you don’t sell to Asia. Your eCommerce marketing plans could be swamped by a tidal wave because you didn’t see it coming. Asia is a powerhouse of international eCommerce. It includes the two most populous countries, China and India, which are both rising economic powerhouses. Nations like South Korea, Japan, Vietnam, and even tiny Singapore have booming economies. They also have a high level of internet usage. As a result, their citizens are above-average eCommerce shoppers. Asian countries are home to almost a billion online shoppers. As incomes rise in Asia and more people gain access to the internet and smartphones, therefore, this growth will speed up. The trend goes both ways, however, as Asian brands both large and small expand into global markets. Therefore, this past year sent clear signals that your eCommerce marketing plan should consider both Asian markets and brands, to stay competitive. Moore’s Law says that computing capacity will double and then double again every two years. The explosive growth of augmented reality (AR) shows why this idea applies to all kinds of tech innovations. In 2018, more media companies jumped on board, using AR technology to create virtual reality features for storytelling. ECommerce marketers have begun to use immersive experiences as well. In 2018, shoe shoppers could take a virtual hike courtesy of Merrell. They could see Tom’s give away shoes from all angles. Thomas Cook let travel agents pay virtual visits to their destinations. And Houston created a virtual tour to encourage tourism. For now, the cost of AR production has mostly limited virtual reality eCommerce marketing to large organizations. with big ad budgets. However, Moore’s Law predicts that won’t be true for long. It was impossible to miss the chatbots that sprang up on websites for companies large and small in 2018. Chatbots create the illusion that you have a fully-staffed customer service department on call to assist visitors to your website – even if it’s just you behind your computer. Online retailers can afford the popups that tell consumers that “Judy” can help them because, of course, there is no Judy. You pre-program your chatbot to answer your customers’ most common questions. If someone needs more help, they get referred to customer service. If you didn’t add a chatbot to some of your pages in 2018, it’s not too late to hop on this trend. A hefty portion of the dollars spent in online retail do filter through big outlets such as Amazon, which is closing in on a 50 percent share of online retail. However, smaller retailers and independent brands spoke directly to consumers more than ever before in 2018. ECommerce marketing for these go-it-alone brands reached consumers directly through social media. 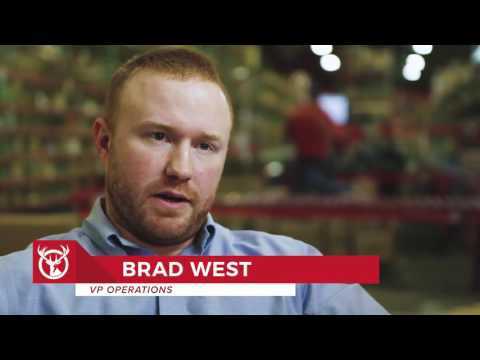 YouTube ads are much cheaper than traditional TV spots. If your video is entertaining enough, you can even get consumers to watch it for free, and you can promote longform videos to explain your products in depth. A clever ad that goes viral on YouTube can catapult a small brand into wide visibility. Mattress retailing has been massively disrupted by the viral marketing of companies like Nectar, Purple, and, of course, Casper. Therefore, with even a small eCommerce marketing budget, you can generate buzz for your online store with creative use of social media. Video won’t just help your product go viral on YouTube. In addition, explainers, demonstrations, and narratives all help tell your brand story and give online shoppers a feel for your products. Video’s prominence in eCommerce grew in 2018. Video has the added benefit of improving your search ranking. Bottom line: people like video and video sells products. 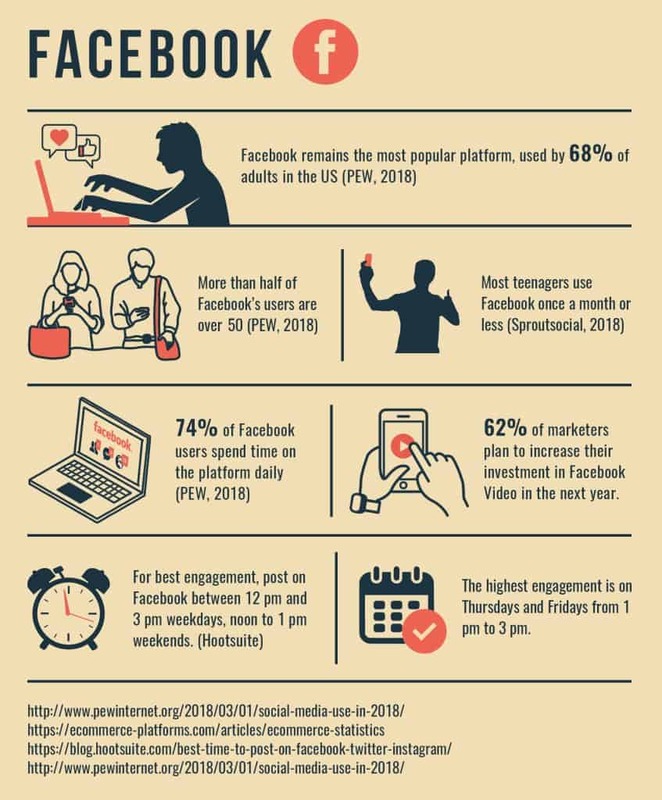 Facebook remains the most-used social media site. 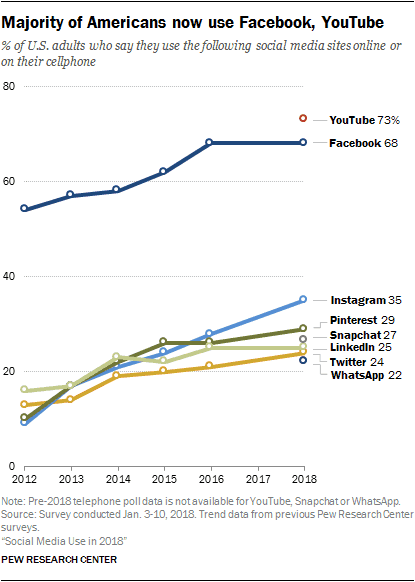 However, the sharp upward trend for Instagram in a chart created by the PEW Research Center shows where the social media buzz was in 2018. Pinterest is so 2015. 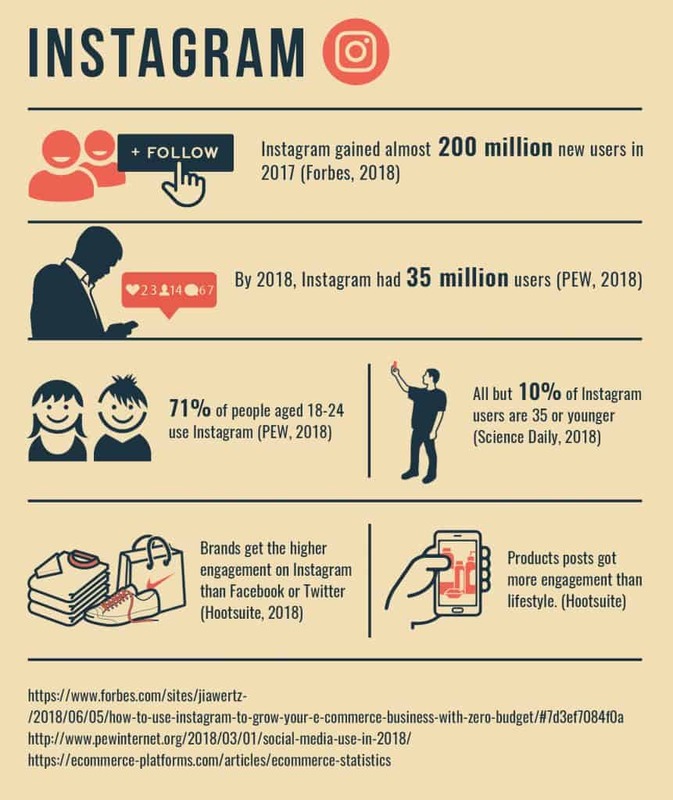 If you want your eCommerce marketing to reach millennials, you need to be on Instagram. Of course, these eCommerce trends were not lost on companies who look to the visual app to promote their product. Instagram is the top destination for influencer marketing campaigns. And online retailers found creative ways to get their message heard on this influential platform. The biggest takeaway from 2018 is that the pace of change in eCommerce marketing is faster than ever. Because of this, your online business can’t afford to stay in its lane. If you’re not aware of the trends shaping the eCommerce marketplace, you run the risk of getting left behind. The only thing that’s certain about 2019 is that there will see accelerated changes to these eCommerce trends. Include the unexpected in your marketing budget. Read up on the latest developments in eCommerce marketing. An awareness of rising trends will put you in a good position to grow your online retail business in the year ahead. You can better prepare your business for the rest of 2019 by reading our latest eBook. We compiled all of our data from 2018, paired it with industry buzz and created this guide for you to ensure your eCommerce business is on top of the latest and greatest. Click below to download for FREE. Subscribe now to our newsletter and get notified about new articles and ecommerce tips! 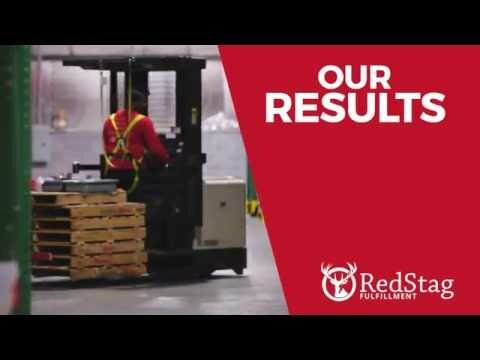 Check out our short, concise videos and learn why we’re a cut above the rest with our expertise and precise approach to ecommerce fulfillment. Which ECommerce Platform is Best for Your Business?